People Love Renting from Us! 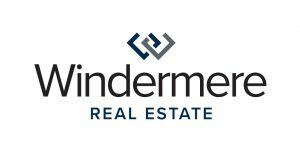 Windermere Property Management uses cutting edge technology to make your life easier. Search our properties, apply for a rental, and pay all from the comfort of your home. We’ve done the legwork to make your rental experience amazing. We are the highest rated property manager in Pullman. We put a lot of effort into keeping our tenants happy by quickly answering maintenance requests and concerns. We want you to love living in Pullman! Our office is open 6 days a week, 9-5 and special hours Saturday.If you need anything our office is here to help!